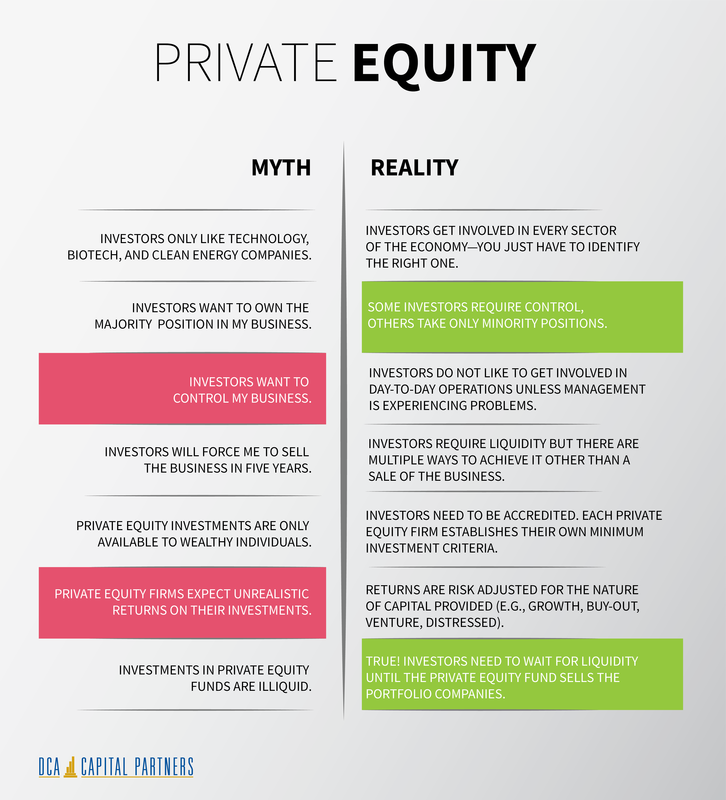 When it comes to private equity, misconceptions are abundant. Let’s set the record straight. Private equity is a unique vehicle for financing. It’s designed for private companies who require additional growth capital. Private-equity funds are run by professional advisors with operating experience. Capital is raised from limited partners, comprised of professional investors. Each fund has an individual set of investment criteria, known as an investment thesis. The investment thesis formally explains what type of companies and situations the fund will invest in, including business sector and growth/maturity of the business. If you’re looking for private equity for your company, it’s important to work with a fund who thoroughly understands these aspects of your business. An investment thesis demonstrates discipline on the part of the fund manager; they are strategic rather than opportunistic. Reality: Investors get involved in every sector of the economy—you just have to identify the right one. DCA Capital Partners is industry agnostic, meaning we invest in companies in a wide range of industries. Reality: Investors do not like to get involved in day-to-day operations unless management is experiencing problems. In those cases, an experienced advisor may step in to offer strategic insight. Reality: Returns are risk adjusted for the nature of capital provided (e.g., growth, buy-out, venture, distressed).